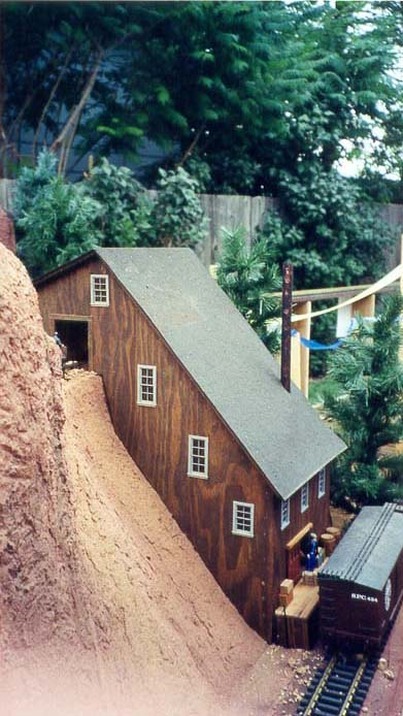 This is a uniquely different Garden Railroad from its 10 foot high mountains to the creative construction materials. This railroad was started in 1996. Area dimensions are 52’ x 14’ and incorporate 250 feet of track. Scenery is enhanced by three lakes and a fifty foot stream. 1900’s era towns and mines bring this railroad to life. Due to the limitations of space and the tall mountain vistas, there will be limited viewing from wheelchairs.